This machine is used for creeping ration test of plastic pipes. It is necessary for manufacturer, college, product quality-inspection organization and scientific research institution. 4. 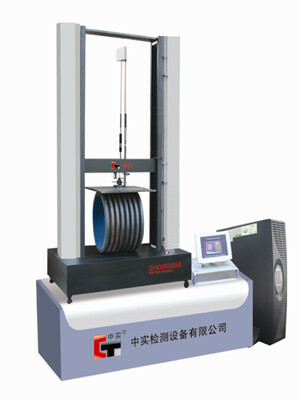 Tensile speed: 1-500mm/min, or 0.1-500mm/min adjust speed without grade. 8. Protective function: adjustable crossbeam up-bottom limited block protection, over load protection and so on..
9. Other functions: data processing and automatic draw the curve.